You are: busy but mellow, practical but delightfully impulsive, constantly in search of functional objects with longevity. 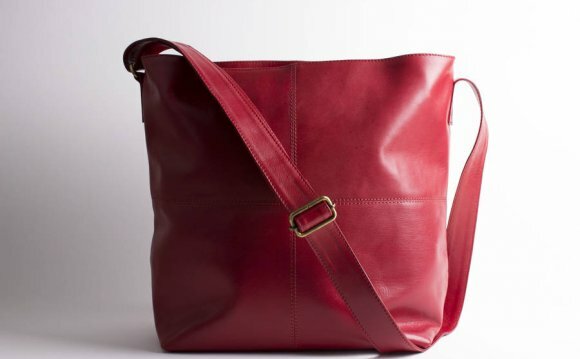 This bag is: a sturdy, yet stylish large leather messenger bag that wears wonderfully. This commuter bag comfortably holds your laptop, has an interior zipper pouch and pockets for a smartphone, notebook, or other small items, and features a sturdy adjustable strap. Together you are: a match made in "throw it in the bag and get out the door looking good" heaven. Materials: Crafted from natural leather rawhide, with copper and silver rivets and buckles. Interior pocket is made from canvas. Slight variations in coloration and texture are possible due to the natural material and the tanning process. Handmade in Missoula, Montana, USA. We stand behind the quality of all our items, if you're not completely satisfied with your purchase please read our Refunds and Exchange policy here.